“I remember when I was 8 years old. At that time my parents forbade me to leave the house,and nothing more than the dying could be heard. We did not know who had died”. The Power of Speaking and Hearing Truth. 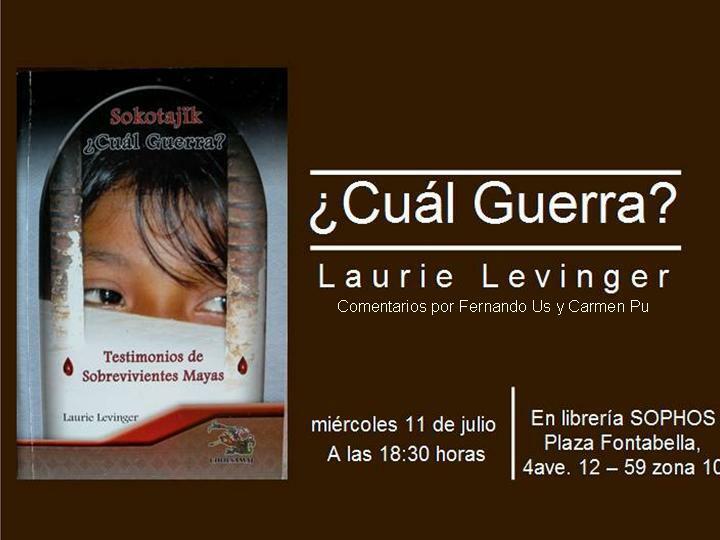 The experiences of Maya individuals, families and communities during the internal armed conflict have been repeated countless times in countries around the globe.The words and emotions shared in Laurie Levinger’s 2009 book, What War? Testimonies of Maya Survivors (Cual Guerra? Testimonios de sobrevivientes Mayas) could have been given by armed conflict survivors anywhere, anytime, in any war or conflict region. Laurie returned to Guatemala the summer of 2014 to meet with some of the students who had given their first testimony 10 years ago. She wanted to learn how these young people have been affected by their experiences during the armed conflict and the effect those experiences have had on their lives during the past 10 years. As a result, Laurie is researching and writing Guerra inconclusa: La voz de sobrevivients (Unfinished War: Voices of Survivors). This book highlights the testimonies and stories of the long term impact on the lives of survivors. What War? Testimonies of Mayan Survivors published in English and Spanish. The video includes a testimony given by Lupita, a 19 year old Maya woman who is a survivor of the civil war in Guatemala. The testimony is given in Spanish with English subtitles. A video of three verbatim testimonies will be included in my new book of survivors’ stories: Guerra inconclusa; La voz de sobrevivients. The voices of these survivors teach us valuable lessons applicable to philanthropists, funders, volunteers, government representatives, and businesses working in any region with a history of being affected by armed conflict. Learn more about Laurie Levinger, What War? 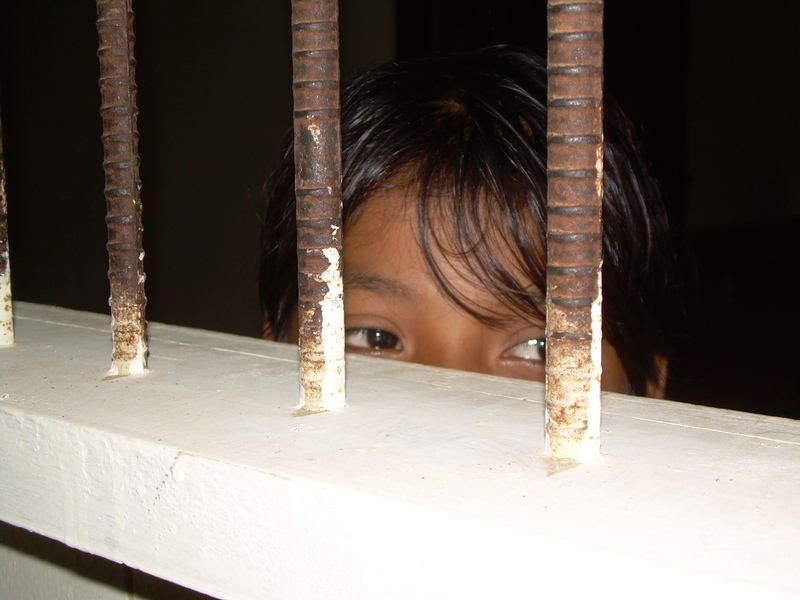 Testimonies of Maya Survivors and her other books on her website. Philanthropic work in communities impacted by intergenerational armed conflict experiences are deeply defined in the context of place, values, and survival strategies. Philanthropic risk is illustrated by the complexity of a double helix. One strand is focused on the technical and programmatic interventions that provide outcomes desired and supported by philanthropic funders and other actors. 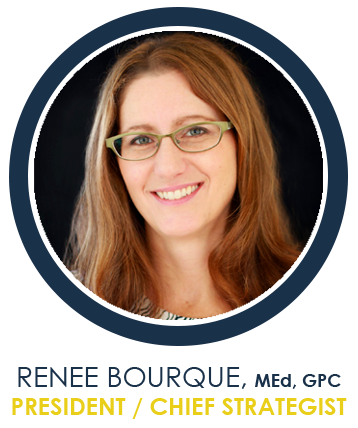 The technical strand focuses on what kind of job training or health programs or enterprise development programs will work in this specific place with this specific culture’s values, experiences and survival strategies. 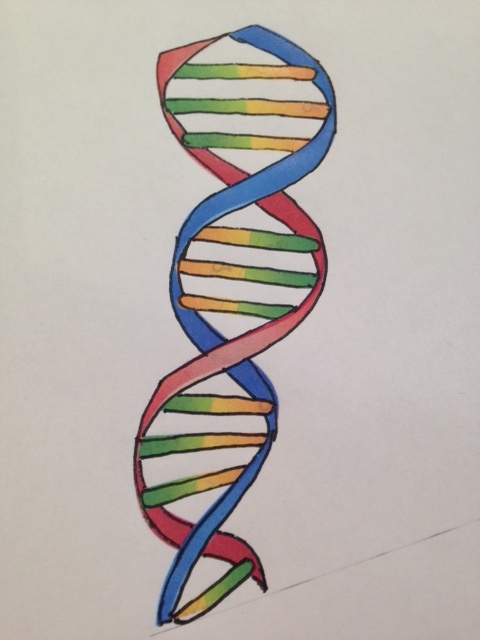 The other strand of the double helix is related to community building. Does a community that has intergenerational impact from armed conflict experiences and survival strategies have the capacity within the community to identify their own needs? Are the needs too broad based, and values too fractured to create a vision for their future? Does the capacity exist to develop plans and implement activities? How are the processes developed that are needed to carry out the vision, develop goals, plan projects and implement interventions that can meet the outcome measures and evaluation requirements of Philanthropic funders and other actors? Philanthropic opportunity is anchored in local leadership development, and local community engagement in the change process. 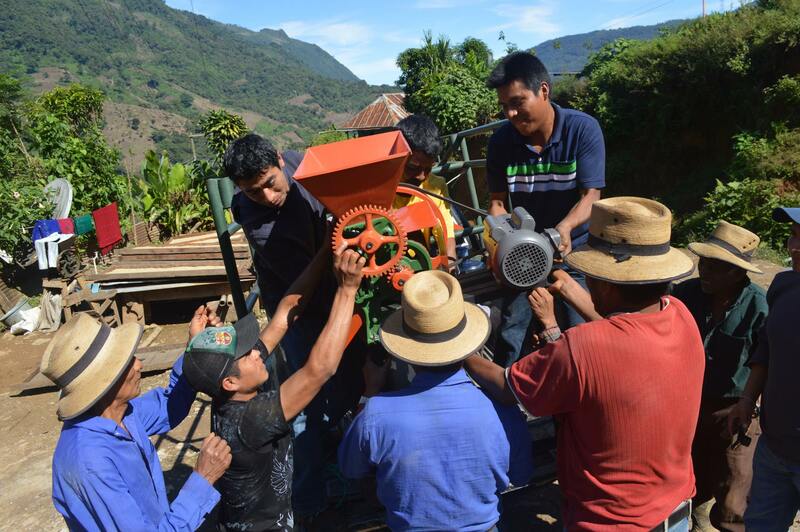 Farmer members of the non-profit Association work together to transport and install the pulpero. The local farmer committee decide the rules and fees for Associate use. is a shared value community development initiative of Bright Star Grant Consultants. BSPP identifies and supports Central American indigenous leaders to realize solutions that they design and execute with BSPP collaborations, technical assistance, and grants. 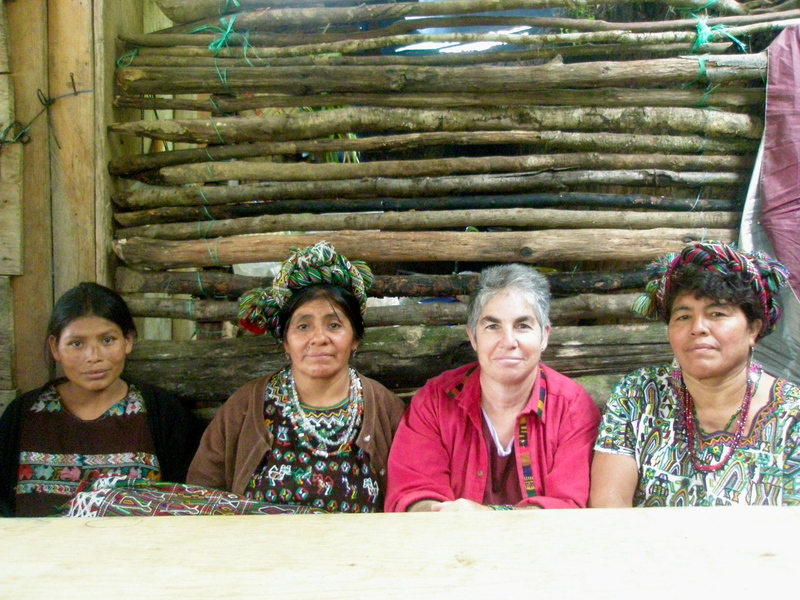 The BSPP demonstration project in Chajul, Guatemala is anchored in the individual and group development of both men and women local indigenous leaders. The experiences quoted at the beginning of this blog are from Ixil Maya indigenous leaders sponsored by BSPP. These young adults are the hope for the future for this war impacted community which is located far beyond the beyond of the end of the road. Manuel Laynez Anay: was born in Chajul, Guatemala in 1982, during the most intense period of genocide activities against the Ixil Mayans. His mother had been recently widowed by the conflict. His childhood experiences were fear, hunger, and no opportunity for education until the peace accords in 1996, at age 14. Through Manuel’s leadership the non-profit Association was legally registered with the Guatemalan Government in 2013. The Association has 92 farmer associates in 7 remote villages, as well as Chajul. 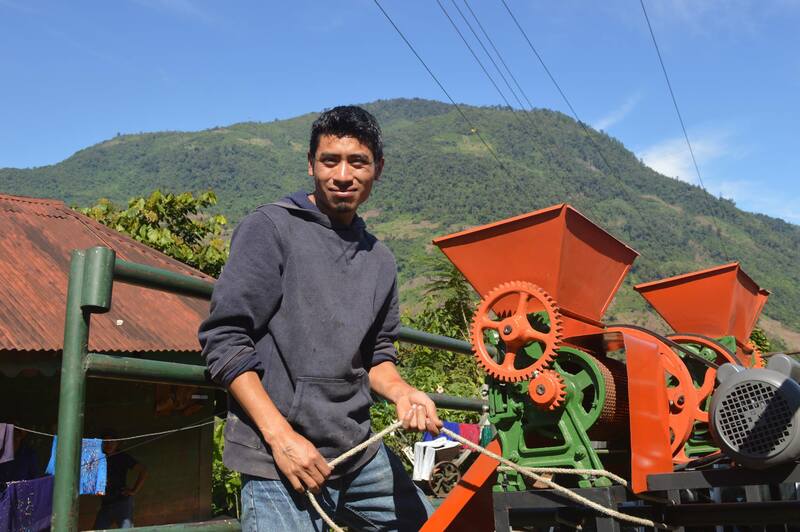 They are engaged in coffee production and vegetable gardening for food security. This year the women’s Association is beginning a business based on their textile artistry in back strap weaving. Philanthropic responsibility in post-conflict communities requires emergent strategies based on listening to the voices of individuals. Strengthening local developing community groups in post conflict-affected communities should be a philanthropic priority. Donors often expect these fledgling groups to become professional bodies immediately but without providing adequate support to help strengthen them. Bright Star Philanthropy Partners has approached their demonstration project in Chajul, Guatemala with the whole system strategy of developing holistic capacity. In real terms this means developing partnerships across sectors. Actualization of this strategy is demonstrated in the collaboration of BSPP, Seed Programs International and a fledgling non-profit Association based in Chajul, Guatemala. Their vegetable garden projects focused on results and have provided food security, as well as improved livelihoods in the first cohort. A second cohort focused on food security for 20 widows and elders is just starting. 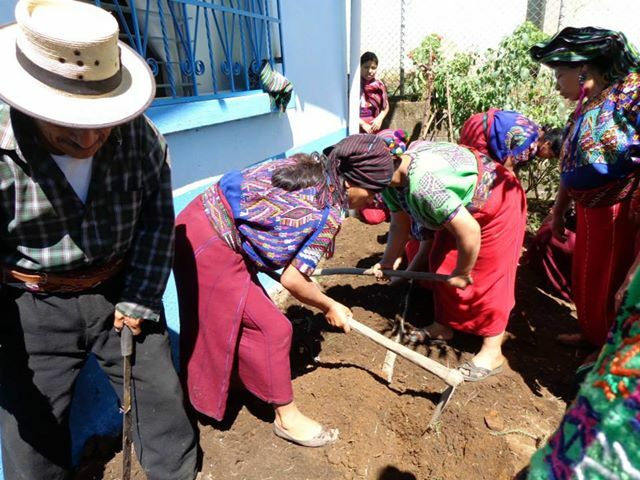 With your help, vegetable seeds provided by Seed Programs International will grow fresh vegetables for Maya Ixil elders and widows in great need of nutrition and income, so each can grow more than 500 fresh vegetable servings. Sustainable philanthropic impact results from investing in local leaders, as their own personal experiences during conflict gives them unique psycho-social insight. This becomes particularly important when systems and processes are weak. These individuals will independently continue to function as change agents in their communities. Founded in January 1998, the Genocide Studies Program at Yale University’s MacMillan Center for International and Area Studies conducts research, seminars and conferences on comparative, interdisciplinary, and policy issues relating to the phenomenon of genocide. The Program is sponsored by the Orville H. Schell, Jr. Center for International Human Rights at Yale Law School. IDRAAC is a non-profit, non-governmental organization that was officially founded by experts in the field of mental health in 1997. IDRAAC members have been conducting research since 1982. At that time, the founding members of IDRAAC were faced with a grim reality: there was no data on mental health disorders in Lebanon, nor any available assessment tools to assess the prevalence of these disorders (on a large scale). Above all, the Lebanese wars had been ravaging the country for five years and there was little knowledge about their effect on the mental health of the population. I can’t wait to read your latest book. I hope to get together with you soon to discuss your latest adventures in Guatemala and to hear more about your book.